Panama is a country in Central America which is perhaps famous chiefly for the Panama Canal, an incredible feat of engineering which splits two continents. However it is only an intriguing and beautiful country in its own right with a lot to offer both as a tourist destination and as a business proposition. Panama has an interesting and chequered history. It was discovered by the Spanish when a lawyer from Triana, Rodrigo de Bastida sailed to the area where Panama is currently situated by way of an expedition. Arriving in the Americas in 1501, Bastidas made his way towards the Panama coast through the Gulf of Darias collecting vast quantities of gold and pearls along the way. However the expedition had to halt due to terrible weather and Bastidas returned to Spain almost empty handed. A year later the famed Spanish explorer Christopher Columbus touched upon the shores of Panama. He was filled with wonderment at the culture of the pople who adorned themselves in all sorts of rich materials such as gold. Columbus also discovered Portobelo which is an important bay to this day and is considered one of the most attractive locations in Panama. A decade later the Spanish explorer Nunez de Balbao discovered the sea which connects to the Pacific Ocean through the Caribbean Sea and this made Panam the bridge of the world between both oceans. Panama was famous for being a smuggling centre in the two centuries hat followed its discovery. Unfortunately the area suffered considerably when pirates such as Francis Drake and Henry Morgan laid waste to several cities. After a further 200 years, the country won its independence from Spain in the year 1821. Panama became part of the Gran Colombia federation under the leadership of the famed Simon Bolivar but this was soon dissolved and the small isthmus was incorporated into New Grenada. As industrialization continued to grow, the idea of linking the Caribbean Sea with the Pacific Ocean continued to increase in importance. This led to the construction of a railway which linked both oceans and which was constructed between 1850 and 55. Three decades later the French began an ambitious project of constructing a canal which linked both oceans. The engineer for this mammoth and unqiue project was the engineer Ferdinand de Lesseps. However the project failed largely due to the illnesses which affected the workers amongst which were malaria, typhus and yellow fever. The company also suffered huge financial problems and was wound up a few years later. The idea did not die however and after Panama gained independence in 1903 from Colombia, the United States began to think of how it could construct the canal which would remain American property for 85 years. The canal was completed in 1914 and is a masterpiece of engineering costing over 400 million dollars to build with a workforce of 75,000 souls. The canal is 80 km long from Colon to Panama City. Ever since its construction, over 700,000 ships have used the canal with the crossing taking between eight and ten hours. After gaining independence from Colombia in 1903, Panama remained a constitutional democracy although the country was ruled by an oligarchy. The military who had been challenging the power of this oligarchy since the 1950’s finally took control of the country post 1968 where there was renewed pressure to renegotiate the treaty that handed control of the Panama Canal to the United States. The country then descended into a military dictatorship which lasted until 1989 when the United States invaded Panama. After a rule characterised by massive expansion of social services and other social coverage including property rights, the military which was supported by the United States moved to crush any opposition but this eventually led to an invasion which restored democratic rule to the country. Elections were held in 1989 and the country swiftly embarked on the road to progress with a diversification of its economy and an expansion of financial services and the tourism industry as its main economic goals. The country’s economic strength was bolstered by the full transfer of the Panama Canal back to Panama in 1999. Since then the country has greatly diversified its economy and has put Panama on the map for financial investment in several areas. 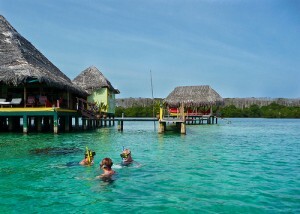 Panama is also renowned for its beauty with a wide array of fauna and flora as well as an abundance of fabulous beaches. It is known to offer great fishing opportunities and has a population of very friendly and lively people. Five hundred years since it was discovered it continues to retain its charm and character. Panama is a constitutional republic and is also the country which is at the extreme south of Central America. It has a population which is an indigenous mix of Creoles, Europeans, Africans and Indians. It has a border with Costa Rica to the North West, the Caribbean Sea to its North, Colombia in the South East while the Pacific Ocean is to the south of the country. For almost a century it has been known for the Panama Canal which traverses two oceans and splits the landmass of North and South America into two. Panama is blessed with a temperate and continental climate and as such lends itself to being an ideal habitat for the growth of flora and for a. It is a world renowned centre for bird watching and is also popular for pastimes such as white water rafting as well as snorkelling. The country is dotted with around 15 national parks, a number of forest reserves and no less than ten wildlife sanctuaries. In fact almost one third of the country is given over to these sanctuaries. The country has an area of just over 74,000 square kilometres and according to the 2000 census the population is around 2.8 million. The major settlement is Panama City which has a population of over one million. Panama is also one of the largest economies in the Central American region although it is smaller than Guatemala and Costa Rica in that respect.